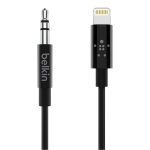 The Belkin 3.5 mm Audio Cable with Lightning Connector, is a Lightning to 3.5 mm audio cable available in both 3 ft and 6 ft length options. This cable provides iPhone users a single cable solution to connecting their phone's audio output to their car or home stereo system. • Enjoy your favorite music anywhere with a single cable that connects your iPhone to 3.5 mm car speakers or home speaker systems. 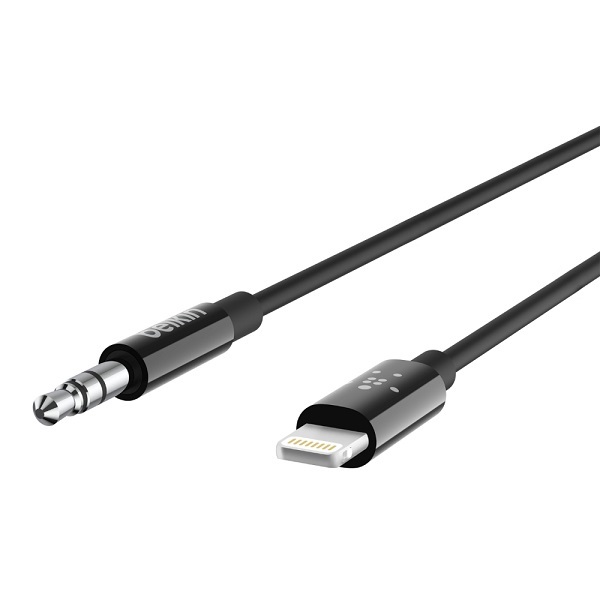 Available in multiple lengths for convenience, the first MFi-certified 3.5mm audio to Lightning cable on the market guarantees sustained compatibility with iOS updates, preserving functionality for a seamless experience. • Access your favorite playlists or podcasts on your iPhone at home or in the car with a 3.5 mm Audio Cable with Lightning connector. 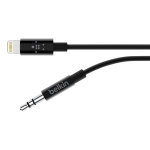 Attach the Lightning connector to your iPhone, and the 3.5 mm connector to your car stereo or a home speaker system for a simple, one-cable connection. • The first MFi-certified cable of its kind, not only guarantees compatibility with your iPhone, but ensures sustained functionality after iOS updates. 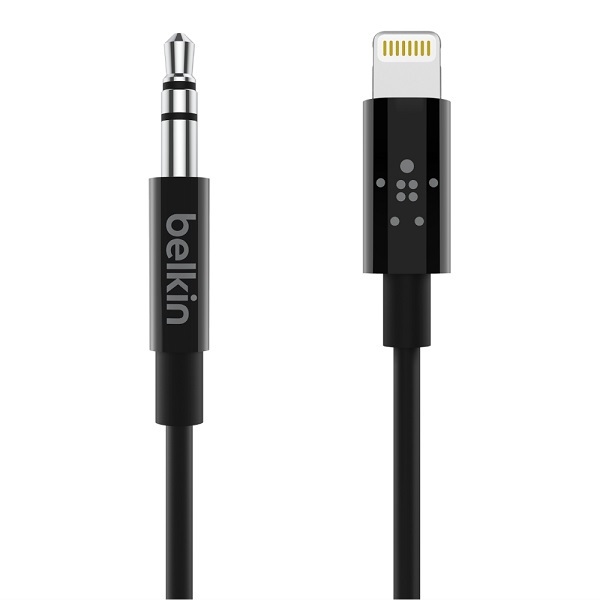 • Available in 3-foot or 6-foot lengths, this cable is a seamless fit in your car or home environment. The 3-foot minimizes clutter in the front seat or on a desktop, while the 6-foot is ideal for hidden or harder-to-reach AUX ports both at home and in the car.